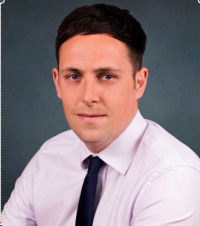 Matt started out in estate agency 12 years ago in a junior role before progressing through almost every role in the industry before being appointed as the Branch Manager of the Rothley office. Matt prides himself on being approachable and honest and you are always assured of a personal service at all times. When he's not at work, Matt enjoys following his beloved Sheffield Wednesday FC home and away and is captain of a local village cricket team. Newton Fallowell Hartleys Rothley is a Franchise owned and operated under license by SIPRO (Rothley) Limited trading as Newton Fallowell Hartleys, Registered in England Number: 09127004 Registered Office: The Point, Granite Way, Mountsorrel, Leicestershire LE12 7TZ. SIPRO (Rothley) Limited is a Franchisee of Newton Fallowell Limited and not a subsidiary or sister company. Registered VAT Number: 197505573.